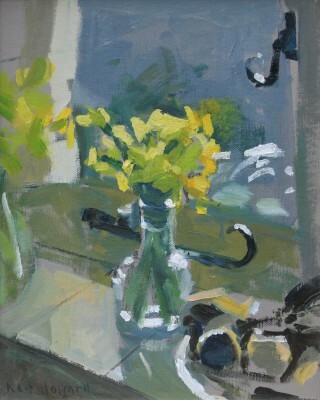 Right now we are waiting for new Ken HOWARD RA Art to arrive at the gallery. In the meantime, here is a selection of the artist's archived art work which has featured at Red Rag Art Gallery. 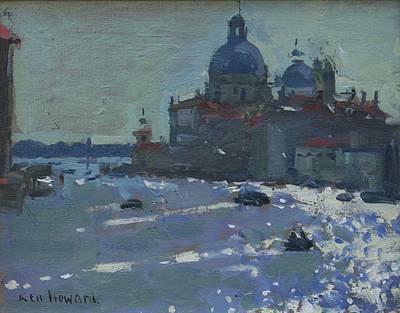 If you wish to register to receive updates and alerts when new art work from Ken HOWARD RA arrives select this link. Ken Howard was born in 1932. He studied art at Hornsey School of Art from 1949 to 1953. Ken then did his National Service with the Royal Marines before returning to study at the Royal College of Art from 1955 to 1958. 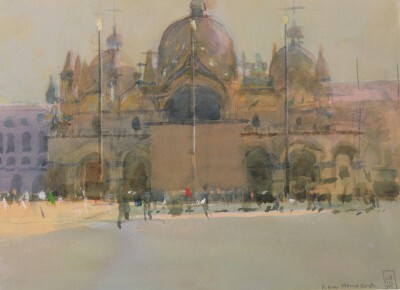 Howard then went on to win a British Council Art Scholarship to Florence from 1958 to 1959. In 1979 Ken Howard was appointed by the Imperial War Museum as official British artist in Northern Ireland. He also worked with the British Army in Germany, Cyprus, Oman, Hong Kong, Nepal, Norway, Canada, Belize and Brunei from 1973 to 1982. 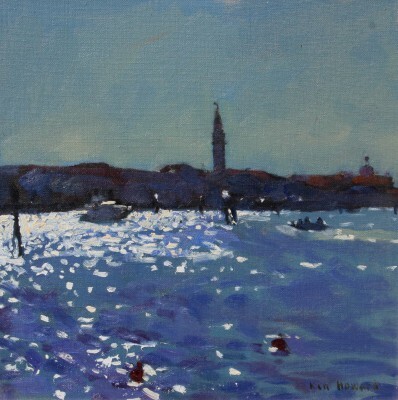 Ken Howard is a master at capturing light in both oil and watercolour paintings. 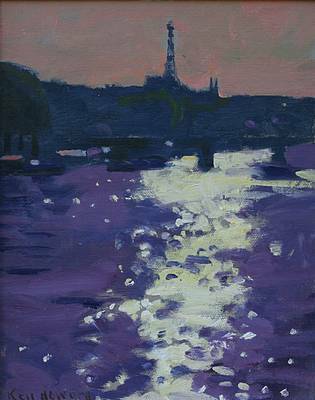 Today Howard is known as one of the leading British Artists for his ability to fuse light and atmosphere in his contemporary paintings. 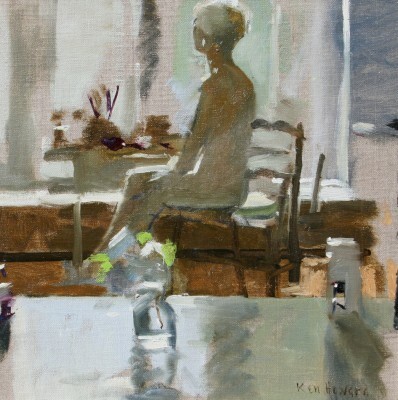 The subjects for Ken Howard contemporary paintings range from studio nudes to Venetian scenes and Cornish beaches. 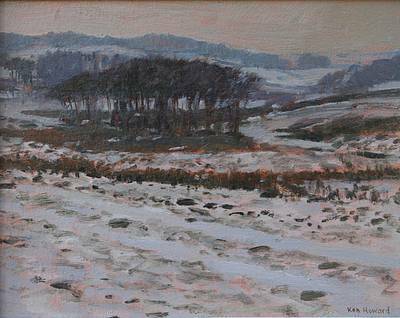 Ken Howard was elected a member of: the New English Art Club in 1962; the Royal Institute of Oil Painters in 1966; the Royal Society of Painters in Watercolours in 1979; the Royal West of England Academy 1981; Honorary Member of the Royal Society of British Artists in 1988; Royal Academician in 1991; and President of the New English Art Club in 1998. His numerous art awards include: First Prize in the Lord Mayor's Art Award in 1966; a Prize Winner in the John Moores Art Exhibition, Liverpool in 1978; first prize in the Hunting Group Art Awards; and the Critics Prize at Sparkasse Karlsruhe in 1985. 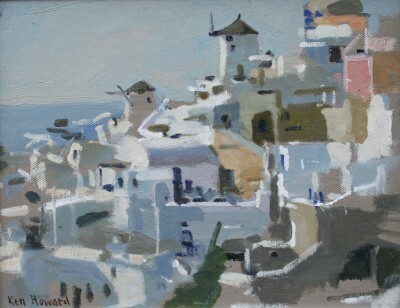 He now lives and works in London or at the Ken Howard artist studio in Venice. 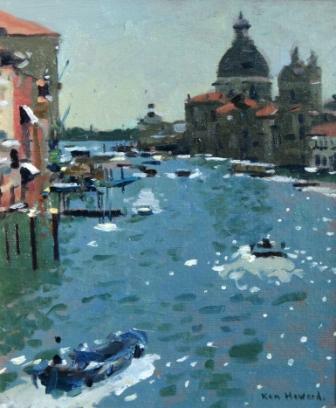 Ken Howard contemporary paintings are found in many British and International private and public art collections. These include the Imperial war Museum and Plymouth City Art gallery. 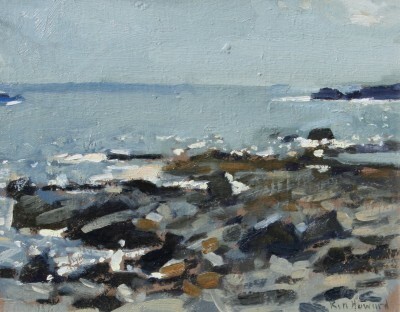 In addition to Red Rag British Art Gallery Ken Howard has exhibited at a number of other leading British Art Galleries. His work is also regularly exhibited at the Royal Academy in London. 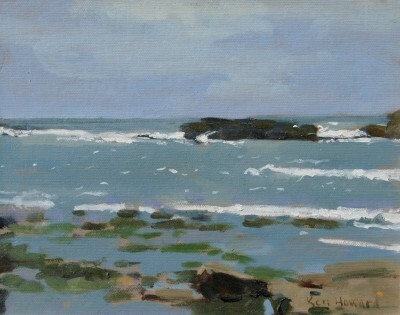 Like all British art from Red Rag Ken Howard paintings can be shipped worldwide.